ALBUQUERQUE, NEW MEXICO (ANS – May 19, 2017) — When it comes to the Southwest — particularly New Mexico, there’s several literary icons that loom large: Pulitzer Prize winning author, Cormac McCarthy, considered one of America’s greatest living authors, is one. So is the Pulitzer winning N. Scott Momaday, author of House Made of Dawn. Pulitzer winning playwright Sam Shepard would be another. And there’s plenty more: Tony Hillerman, George R. R. Martin, John Nichols, Hampton Sides, Rudolfo Anyaya, Max Evans and others. But of all the writers that represent the Southwest none provided a love and respect of the region more than Edward Abbey (1927-1989). After graduating from the University of New Mexico, Abbey went on to become a novelist, essayist, park ranger, and activist. 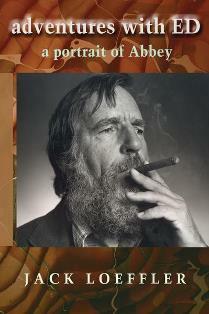 In some circles Abbey is mythic, a writer whose potent life matched his powerful words. His popular works include The Monkey Wrench Gang, Desert Solitaire, and The Brave Cowboy (made into a Hollywood movie starring Kirk Douglas). And then there’s Abbey’s burial. After an unsuccessful surgery, Abbey died on March 14th, 1989. Before his death, he asked a few friends to put his body in a truck and bury it in the desert in a sleeping bag, the location unknown to anyone except his friends. Since that time, many people have tried to locate the exact spot of his burial. Sean Prentiss was one. In his book, Finding Abbey, Prentiss searched the southwest for the famed burial site, to no avail. Yet there is someone who does know where Abbey was buried; he helped inter him. To this day Jack won’t say a much about the location. Just ask Sean Prentiss. But what Jack will talk about is his own writing and work; which is a good thing because it is well worth reading, including Loeffler’s memoir of Edward Abbey, Adventures with ED. I’ve been fortunate enough to hear Loeffler speak several times, mostly on environmental issues. But with his newest book Voices of Counterculture in the Southwest, Jack was able to pull all his varying interests into one work — music, poetry, the environment, radio, interviews, and the counterculture. Using taped interviews, correspondence, and personal interaction with many of the key players, Loeffler and the contributing writers were able to paint a fine portrait of the countercultural movement in the Southwest, integrating various voices representing a host of places and personages, including Native perspectives and varying Hispanic expressions, including poet Levi Romero’s essay on the Low Rider culture in Española, New Mexico. Jack was in Albuquerque promoting his book along with University of New Mexico professor Enrique Lamadrid . I listened in as the two discussed the work. According to Loeffler the project has been “two years in the making,” corresponding with a radio production Loeffler was working on called Voices of Counterculture in the Southwest, now airing on Public Radio-KUNM . When asked by museum curator Meredith Davidson if he was interested in the project, Loeffler replied, “Would do it if we could really get into it.” And into it they got, getting multiple contributions from a various people in the Southwest including contributions from Pulitzer Prize winning poet Gary Snyder and actor Peter Coyote, along with past interviews from luminaries such as Edward Abbey. 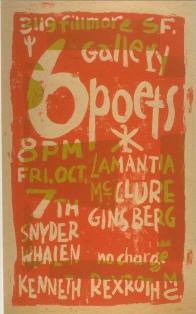 Loeffler said the counterculture movement was inaugurated in October 1955 at the Six Gallery in San Francisco. It began when a “‘white-shirt and tie’ New Yorker went to San Francisco and asked poet Kenneth Rexroth if anything was happening. Rexroth replied, ‘Why don’t you make something happen.’” It was at Six Gallery that a few poets — Kenneth Rexroth, Gary Snyder, Allen Ginsberg and others gathered to read poetry. This was the first public reading of Ginsberg’s Howl. 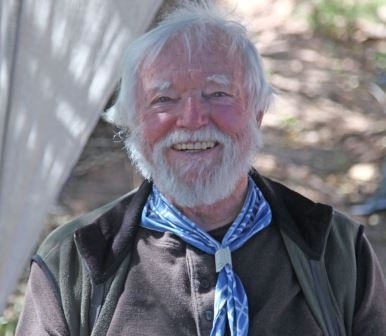 The movement moved to the Southwest in 1962 as part of the Peyote People relocation from Marin, California, a “back to the land movement.” Loeffler was part of this migration to the Southwest, arriving on October 3rd (on his parent’s 30th anniversary). Loeffler pointed out that many of the people were influenced by “drug-influenced mysticism” and music. Loeffler played jazz with several key New Mexican poets and musicians, John Brandi included. After Loeffler’s introduction, Enrique LaMadrid made several comments about the Hispanic counterculture perspective — going back to Che Guevara, who, according to Enrique, was a “fine writer.” Enrique read sections from his essay from the book, all very poignant and poetic. Loeffler may have buried Edward Abbey at Abbey’s death, but Jack has sure kept Abbey’s vision active in life. 1) Daley, Jason (September 30, 2003). “Forever Wild”. Outside. Photo captions: 1) Jack Loeffler and artist, Frank McCulloch before Loeffler’s lecture. 2) Edward Abbey with the Chevy pickup he was later buried in. 3) Adventures with Ed by Jack Loeffler. 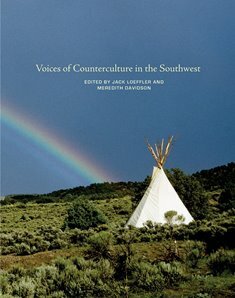 4) Voices of Counterculture in the Southwest by Jack Loeffler. 5) Six Gallery Flyer. 6) Brian Nixon. About the writer: Brian Nixon is a writer, musician, artist, and minister. 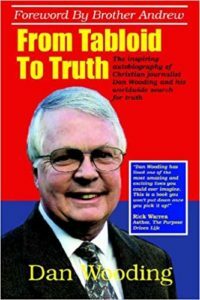 He’s a graduate of California State University, Stanislaus (BA), Veritas Evangelical Seminary (MA), and is a Fellow at Oxford Graduate School (D.Phil.). To learn more, click here: http://en.wikipedia.org/wiki/Brian_Nixon.